Babblings of a Mommy: Bruce Willis Beauty Product Line. Bruce Willis Beauty Product Line. Say WHAT?!? Yes, you read right. Bruce Willis is launching a Beauty Product Line, named "Bruce Willis" (how original) that will include cologne, hair and body wash, deodorant and after shave balm. "extremely masculine and it embodies every individual feature of the Hollywood star: strong, self-confident, consistent." This should be interesting...what do you think? 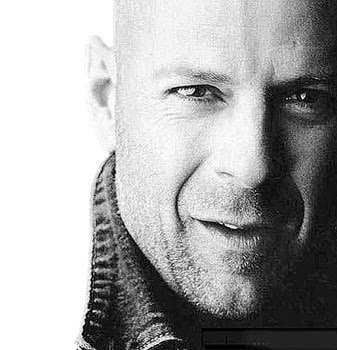 Will you be buying "Bruce Willis" for your man? It is funny you share this because just the other day I was looking a Bruce Willis (perhaps on TV) and thinking "Wow he is looking younger!" I was thinking that in Hollywood they must have the fountain of youth, but are not sharing. I don't have a man to buy this stuff for, but if I did I think it would depend on how it smells. Women are said to be attracted to smell. Thank God it's for men. Oh my word, are you SERIOUS?! I absolutely LOVE Bruce Willis and would definitely try out some of his products as birthday or Christmas presents. Found you on the GFC Followers group on Mom Bloggers Club. I'm now following you, please follow back when you have a chance (if you aren't already). Thanks!